Gallery walls are a great way to make your home or office a place that feels just right. Here are some articles that you might want to check out before designing a gallery wall. Apartment Therapy has dozens of articles pertaining to gallery walls. Here’s a great collection of gallery walls from Better Homes & Gardens. The New York Times also shares ideas for creating gallery walls. This is your area so don’t be hung up about breaking the rules! If you think that it works, consider it! Many of the articles suggest not using the same frame for the entire collection. In the above photo, our client wanted to unify his family photos by using the same frame for all on of the items on his gallery wall. For his situation, it works. Don’t be afraid to add three dimensional objects of different shapes and sizes to your gallery wall. A flea-market find, souvenir from vacation or family heirloom is an appropriate addition. Refer to Instagram and Pinterest for unusual ideas and layouts. If you have a large amount of items to be framed for your wall, take your time, plan it out and work with an experienced framer who will help you through the process. Since it can be time consuming it’s best to call ahead to reserve a time period. Cut out the shape of each item from newspaper or kraft paper and use painters tape to arrange the cutouts on the wall to experience the final effect. Lay the arrangement out on the floor near the wall to see the overall balance before committing to making holes in the wall. Make sure that the items have proper hanging hardware. Wires attached to D-Rings used with professional picture hooks work in most cases. Frames with sawtooth hangers in the top center often get knocked down and should be used with caution. Screw eyes frequently come loose over time so you might please consider other options. Don’t be afraid to hire a professional installer. If you cannot fit it into your schedule, don’t have the proper ladders or simply don’t enjoy the process, contact us and we can refer you to some local installers in the Philadelphia area. Just because something has been framed, doesn’t mean it should be forgotten. When you own framed art or memorabilia that means a lot to you, pay attention to make sure it remains in good condition. The most common problems occur from damaging UV light rays, insects, moisture or temperature change. When you see signs of problems, bring your framed piece in so we can provide advice on how to correct the problem and how to stop further damage. Feel free to give us call at 215-364-4321 for more information. The Dead & Company’s concert was so great that Josh and his family attended twice! What a great way to savor the memory! Some of the most special moments of our lives are over so quickly. Custom framing allows us to capture those times for you so you can enjoy them for years to come. Whether you have photos and mementos from special events, souvenirs from a trip, a golf score card from your best game ever, or a playbill from your favorite Broadway show, Whispering Woods gallery can take your memories and turn them into beautiful artwork for your walls. What is a Float Frame? By using a floater frame the sides are visible. The background and sides were gilded with gold leaf. This original piece was crafted from paper money. A float is a minimalist frame option sometimes used when framing art on canvas. The art drops into the front of the frame so none of it’s front surface is covered. This is beneficial when the painting is extended over the sides or if the lip of a conventional frame would cover important parts of the art. Most float frames are simple profiles, but a second decorative frame could be added for a unique presentation. In this example, Marena of Bensalem brought us her art that was designed with hundreds of paper hearts made from currency bills which were pinned to a hand pieced gilded background. It was stunning! By using a float frame the viewer can see the textured sides of the art. At Whispering Woods Gallery, we frequently replace broken glass. Glass can break for many reasons. A proper hook was not used. The hanging hardware was not sufficient for the piece. Screw eye hangers and sawtooth hangers usually are not the best choice. The wire did not catch onto the hook properly. The frame was jarred by a person or object. House repairs to the roof or siding shook the wall. The art was not hung on a timely basis and was jarred while on the floor. The art was leaned against a wall without being secured. The art did not have sufficient protection during transport. Many times glass breaks during shipping or a move. Our goal is to safely dispose the broken glass, remove glass shards, repair or replace a broken frame, and replace the glazing with the appropriate choice. If the mat is scratched we can replace it. Prices vary according to size, type of glass, and complexity of the project. We stock five types of Tru Vue glass at our shop – Regular, Conservation Clear, Non-glare, Conservation Reflection Control and Museum. All glass is cut in our shop to fit your frame. Drop by with your piece and we’ll get it fixed up fast. No worries! No worries, Whispering Woods Gallery can replace your glass! Ready for spring? See our spring projects! Whispering Woods Gallery is ready for spring! It’s a great time of year to look around your home and spruce up your walls. Enjoy some of our favorite spring themed projects. We are happy to help you celebrate by framing your favorites. Whispering Woods Gallery offers local art and custom framing. This is a vintage Peter Keating Poster from 1986. It’s a classic and timeless. Peter Keating, an artist who lived in Bucks County in the 1970’s and 1980’s, painted beautiful rural scenes of Bucks County. We offer this poster in your choice of custom frame. It would look great in a home or office. If you are looking for local traditional art, give us a call at 215-364-4321. I recently attended the Allentown Paper and Book Show in Allentown, PA. As a first time attendee, I had no idea that it was such a large show. I could have stayed for the two days. I went to search for a few vintage postcards. I found booths filled with all types of old photographs, magazines, advertising, sheet music, posters and more. Vintage cameras, World’s Fair items, romantic Valentines, toys, old maps, matchbooks and original drawings were plentiful. The original vintage signage was fun and bright. There was even a booth with display supplies for collectors and dealers. 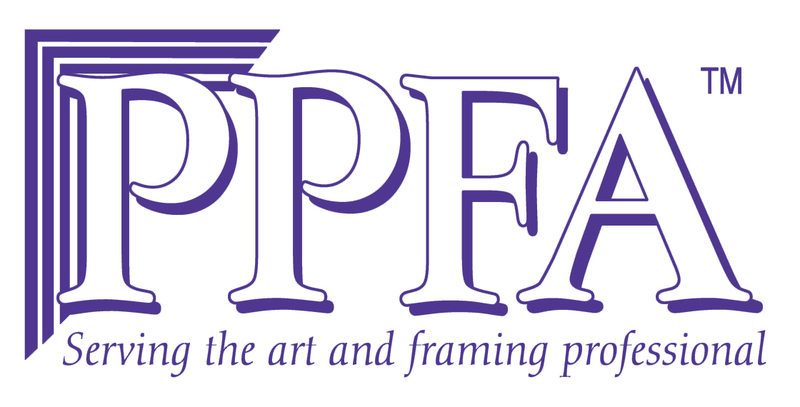 Every year framers from all over the world gather at the West Coast Art and Frame Show in Las Vegas for five days of classes, vendor exhibits and networking to strengthen our industry. I just returned with fabulous new ideas and a few awards too. On September 30, the Metro Atlantic Professional Picture Framers Association met for a private tour with frame historian Suzanne Smeaton at the Metropolitan Museum of Art in NYC. Framers and vendors from three states attended the event. It was inspiring to be with others in the industry, discussing art and framing and I came back to the shop with many fresh ideas. Visiting Etsy Headquarters in Brooklyn. Our PPFA Group visited Etsy Headquarters in Brooklyn. Philadelphia Museum Vintage Postcards custom framed. See you on the Art Museum steps! Wildwood Crest Vintage Postcard with Fabulous matting for a shore home. Ask about our extensive vintage postcard collection. Welcome to Greetings From Susan, my online Etsy store. For those of you who are not familiar with Etsy, let me explain. 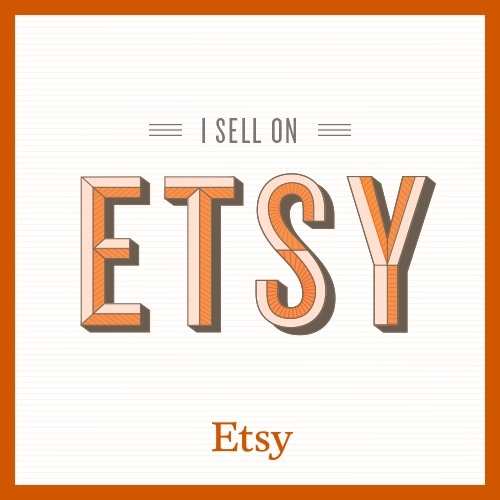 Etsy is an e-commerce website where you can shop for unique handmade, vintage and craft supply items. There are over 1.6 million individual shops selling on Etsy and over 25 million buyers worldwide. It was launched in 2005 and the headquarters are in Brooklyn, New York. In 2014, after being in a storefront location for several decades, I felt that it was time to expand our audience from just the Bucks County/Philadelphia/NJ location to a greater area. I chose Etsy because many of my customers were coming to me to frame items that they had purchased online. Etsy had a great reputation, so I thought that I would give it a try with one of my passions, vintage postcards. I had been framing many vintage postcards for family, friends and my customers and I enjoyed creating unique projects. Vintage postcards and ephemera bring back happy memories, taking us back to our youth, a fun occasion or a place that we lived. Selling online has a little bit of a learning curve, but it’s exciting and gratifying. I can be open 24/7 instead of just regular business hours. I routinely ship all over the US and even overseas now and then. Initially I only wanted to sell matted vintage postcards, but I tweaked my shop to include both matted and unmatted postcards. Soon I will add greeting cards. It’s been a great opportunity and I look forward to seeing “Greetings From Susan” grow. If you are in the area, stop by our shop at 295 Buck Road, Holland, PA 18966. If you have ever visited Margate, New Jersey you probably passed by Lucy the Elephant. Built in 1881, Lucy is a six story structure that attracts thousands of visitors each year. As a framer, opportunities to frame Lucy are plentiful! Here are a few of Whispering Woods Gallery’s projects. Contact Sue for more about prints, vintage postcards and framing. 215-364-4321.